"If I have discovered one thing while being an English teacher, then it is that learning this language will allow someone to develop professional and personal relationships that will not only last a life time, but change their life completely. I have spent my life communicating with learners of English, be it as a teacher to immigrants in the United States, or as a teacher to students in China for over four years, or as a friend to people from all over the world, and I can say with positivity that “Reward” embodies the spirit of unlimited possibilities. The teachers and methodology at this center for language instruction are truly special and will not fail to teach anybody. Choosing to learn English is without a doubt the best decision that someone could ever make. No matter who you are, what you do, or what you dream of doing, the ability to communicate with and understand English will be the most valuable asset for you. You will realize the infinite opportunities to explore and understand the world in ways you could have never imagined before. So, come to us and begin your new life!" The city of Volgograd is ideal for a visitor seeking the epitome of authentic Russia. It is a typical Russian city, albeit flush with hidden gems of beauty, and without a high number of foreigners, so it supplies great opportunities for learning and experience. When the vast landscape of streets and buildings and hills seem overwhelming, the numerous offices of Reward provide a welcoming oasis. All of my co-workers were so incredibly warm, helpful, and thoughtful. Seeing them everyday was the best part of being here. Since Reward is a private institution, most of the students are serious learners and kind people, so they too were pleasant to spend time with. I also appreciated the structure of the teaching programs; they were easy to use and they allow for the teacher to focus most of their effort on the classroom. If I were to live in Russia again, I think that this company would be favorable to spend more time working with. "At Reward I have been treated extremely well. A lot of thought is given to matters personal and professional. Staff here is welcoming, friendly and concerned for your wellbeing. Lesson plans and resources are abundant. In particular regarding visual and audio technologies. I have found it comparatively easy to ‘step into’ the teaching culture here. Reward’s methods are progressive, adaptable and effective. In short, I love living and teaching in Russia. It is a fascinating and rewarding country"
My experience at “Reward” and living in Russia has been incredible, inspiring and eye-opening. I have no doubt that I will talk and think about living and working in Russia for the rest of my life. I’d recommend “Reward” for those interested in self-discovery, and for those who are dynamic, hardworking and wish to prove it! In my time at “Reward” I have had the complete teaching experience: I have taught students of all levels and ages, I have taught in residential “English camps” for weekends and for longer periods, I have taught business English, Medical English, English for translators, maths and Art. I also had the opportunity to visit St. Petersburg and teach for three weeks in the summer camp there. In short, the complete experience for an aspiring young teacher. All these activities have stimulated and challenged me. I have leant to become a resourceful and determined teacher and individual. The challenge of teaching at “Reward” and living in Russia can change your perspective on life – and I think everybody can benefit from this new point-of-view. "Over the past few years my main interest has been travelling around the world, meeting new people, sharing experiences and embracing their local customs and culture. I feel that the best way to truly experience life in a different country is by living there, working and interacting with the people on a daily basis. During my travels I have gained a vast amount of life and work experience which in turn has encouraged me to become an English Teacher. I am looking forward to growing and developing my teaching skills and I honestly cannot think of a better institution to begin my journey as a teacher with than Reward FLC"
On September 30th 2013 I not only set off on my first trip to Russia but I also embarked on my own personal journey of becoming a teacher. I am not going to lie; beginning a new career in a strange place, filled with new faces and unfamiliar procedures was a very daunting prospect, but my mind was quickly put at ease as soon as I arrived in the historic city of Volgograd. The staff were fantastic! They were extremely welcoming right from the moment I stepped off the plane and were only too eager to help me settle in to my new life in Russia. Within the first few days of working at Reward FLC, I quickly realized how much care and attention had been taken in the designing of their teaching methodologies and their resources. Looking back, I now understand that it was this combination of communicative methods, world-class resources and supportive and helpful staff that has made me the teacher I am today. After the completion of my first contract I was offered a position to teach in Russia’s cultural heart, Saint Petersburg. I jumped at the chance and I have been enjoying this beautiful city ever since. Reward FLC not only met my expectations as a language center but it exceeded them in every aspect. I am glad to have had the opportunity to work for such an innovative and progressive company and I can only see great things for the future. "Coming to Russia is a great experience, and REWARD makes it easier and helps you in all aspects. Teaching languages is a big opportunity for uniting people of different cultures and origins. We work together for that goal, so that your success will be your reward!" Working in “Reward” has been a very important experience in my professional life. At the beginning, everyone is a little afraid of going abroad, to a new environment, far from your relatives, especially to a country like Russia, with a different culture and a language that I couldn't speak. But soon I realised that it was an incredible experience! You don't have to worry about renting a flat, Reward gets it for you. Russia is full of nice and interesting people and everyone who enjoys history and culture will discover Volgograd – the historic Stalingrad – as an interesting place to visit. Speaking Russian requires time and effort, but after the first month I could already take a taxi, understand everything in the supermarket, and start basic conversations. 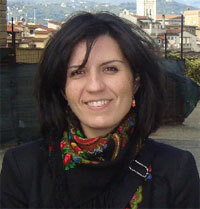 Before joining Reward I had already received a Master’s Degree in teaching Spanish as a second language. But during my first two months I attended several seminars on methodology as well as free Russian language lessons. Each student is different, but Russian students are generally participative and positive. They love being taught by a native speaker and this is a good starting point to do your best! If you add this to the good methodological training you receive, you'll surely meet your professional expectations, especially if this is your first experience abroad. One of the best experiences I had in Russia was the Winter Linguistic Camp for school children. We don’t have anything like this in Spain! The area is called “Fairy Tale” and it is a complex located not far from Volgograd. More than one hundred kids attended the camp and during 8 days we taught lessons, organised speaking clubs, played loads of activities and organised every aspect of students’ lives. If you are thinking about working in Russia and you have concerns, simply forget about them! You'll never regret it! 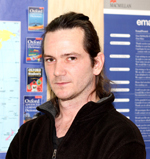 "I decided to teach because I have a great passion for education myself, and have both witnessed and experienced the wonderful things it can achieve in all areas of study, and am therefore keen to play my part in passing knowledge on to those who wish to receive it. Great joy can be experienced in learning, and as a teacher, great satisfaction can be taken from that knowledge. Moreover, as a Scot visiting Russia to teach English, I will myself be learning about the culture, lifestyle, people and language of a nation with a long and great history - something that appeals greatly to me"
Having returned to work with Reward Foreign Language Centre for a third time, it almost goes without saying that I enjoy working here. This third time with Reward started in Volgograd last March (2013), which was great as I managed to catch up with a load of old friends and colleagues in a city I really love for a couple of months before I moved North to Saint Petersburg. The rest of the year has been spent in our new Saint Petersburg office. It's been hard work establishing the company in a new city, but being part of the development of the company in its infancy here in Saint Petersburg has been a great experience. It's been a year that has involved a lot of teaching, but knowing that at the ending of the week I would be spending my free time visiting one of the countless museums, theatres, bars, restaurants or galleries that this city has to offer always made it worthwhile. It has also been great working in a relatively small office where we have developed a really great team of people and I'm glad to say that I've become good friends with them all - I'll definitely miss them when I leave. I'll be really sad to leave both our team here in Saint Petersburg and this great city itself. I definitely plan to return to visit - as often as possible! Anyone who comes to work here is guaranteed to enjoy working in this great city with a great group of colleagues and have an all-round good time. "I came to Russia because I love to travel to new places that few Americans have the opportunity to experience. That’s why I’m here in Volgograd. I am also interested in the Russian culture and the rich history of the Russian people. There is no better way to learn about these things than living and interacting with the people on a daily basis. I also want to help students who wish to pursue the English language and see them grow and develop in their knowledge and understanding." I spent about one year working in Volgograd with Reward School. I have really enjoyed this year and it's been a great learning experience. The staff and managers in my office were always friendly and willing to help me whenever I needed anything. I also really enjoyed working with my fellow Russian teachers, who showed me around the city and helped me with anything I was wondering about. The students of Reward were such a joy to teach. They are motivated to learn and have a great sense of humor. We had many interesting discussions and many funny moments. I was really getting used to my co-workers and students and I will miss them alot. Volgograd is a city rich in history and the people here are very friendly and welcoming. I have had a great time making friends here, and I have become close friends with more than a few people. If you are looking for an experience in Russia outside of Moscow and St. Petersburg, I would really recommend coming to Volgograd and working with Reward. You will not be disappointed! "Reward is an outstanding language center and creates a fantastic learning environment for all ages. Students are eager to learn English and are incredibly interested in the American lifestyle and I'm happy to teach them! I feel lucky that I was chosen to work with this company in Volgograd. What a fantastic city! The Russian culture has always been appealing to me and it's a great experience to be immersed in a culture such as this one"
Working at Reward was an experience of a lifetime. I will always remember the great times I had with this company and its people. If someone asked me if I could do it all over again, I would say yes in an instant. What makes this company so different from the others is its unique style of learning along with plenty of great materials and a friendly atmosphere that contributes so much to the student’s progress. In providing these key things along with the ability to deal with difficult situations and transform them into positive ones consistently, I would have to say that Reward is one of the best language learning programs in Europe. One of the first things that I noticed and surprised me the most was to see students who are so willing to learn when they come to Reward. Reward is more than your average language learning program. It involves the students in real discussions and fun activities that keep them wanting more. My impressions of living in Volgograd were of a positive sort. The people in the city are friendly and helpful, always willing to help foreigners when needed. I made some great friends and will always remember spending time with them, both in the workplace and out. Overall this was one of the best experiences of my life and a truly unforgettable one to say the least. Thank you all for having me! 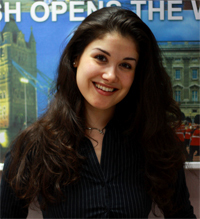 "The chance of getting in touch with Russian language and culture is one of the most fascinating things I could imagine. Teaching has always been my passion and FLC Reward gives me the wonderful opportunity to share not only my knowledge of Italian language but also the culture and traditions of my native country. As well as teaching Italian one of the most valuable reasons for working at foreign language center Reward is the possibility to study Russian language with the professional teachers of Reward." Now that I’ve completed my contract at REWARD, I’d like to express my deep gratitude for the opportunities I’ve been provided. The creative and friendly atmosphere at this language school is really satisfying. I have been inspired and influenced by people who want to improve their qualifications and methods of teaching. Though I had a lot of teaching experience before joining REWARD, I must confess that I’ve greatly matured as a teacher while working here. The school is really strong in its methodology of teaching languages, as well as creating learning materials. Participating in this has helped me a lot. I was very impressed with the interest of students in learning the Italian language as well as their enthusiasm for learning about Italian life and culture. I realised that there are many stereotypes about both Italians and Russians which aren’t true. Sometimes in class, my students seemed more Italian than me! I found that students who enjoyed learning didn’t worry so much about rules and became more confident and fluent speakers. We enjoyed the lessons a lot, sharing knowledge and information about our different cultures. My previous stereotypes have been significantly altered by my stay in Volgograd. Russian people are more open and friendly than I originally thought. This made our classes both interesting and enjoyable on both sides. I have discovered that Russians have very deep attitudes and relations. They may need more time to open up and become close friends with people, but they are very reliable, and always helpful – an important factor for a foreigner. Another thing I am grateful to REWARD for is my accommodation, which was near the school and in the very centre of Volgograd. It was convenient for visiting historical places on foot (with exception to Mamayev hill which is 20 minutes away by tram). There are lots of interesting historical places in Volgograd, and the staff at REWARD have been kind enough to show me the sights. The Russian lessons I received also deserve recognition. After 8 months of lessons, I feel comfortable being able to communicate in this country in any situation – and Russian is a language I considered to be one of the most difficult. My Russian teacher, Vladimir, is a great professional! His method of teaching constantly fed my curiosity and every lesson was both interesting and rewarding. We’ve established a great friendship. With my Russian, I am now sure to survive my long trip across Russia to the Far East which I’ll be undertaking on my holidays. I would strongly recommend this school to foreigners who would like to get a perfect teaching experience, mature as professionals and learn a lot about Russians and Russian culture. "The chance to live and work in Russia was one that I couldn't miss. I have spent the last few years in different countries and continents so, when I was looking to return to Europe, Russia was naturally one of the places I looked at. I wanted to get experience in different types of English language teaching (adults, children, one-to-one, corporate) and I'm enjoying being able to develop my teaching here at Reward. I really feel like I can get a lot out of this experience, both personally and professionally." As my time in Russia comes to an end, I realise how incredible an experience I’ve had. I came to REWARD as a relatively confident, yet fairly new, teacher of English as a foreign language. I have noticed a vast improvement in my teaching since being here, and am highly grateful for the support and encouragement I received by staff. Methodological seminars were provided to teachers during my first few months here, and I greatly appreciated being able to ask questions and gain feedback on some of my teaching ideas and experiences. I’ve had the opportunity to teach a range of levels, ages and groups – from elementary to advanced, 5 years old to adults in their 50s, and individuals to groups. I have been able to develop my teaching methods and have gained confidence in teaching ages and levels which I was not previously comfortable teaching. Lesson structure at REWARD incorporates the essential parts of language learning and therefore offers the students a well rounded, diverse experience. Although lessons are planned, and materials provided, REWARD has a diverse range of additional materials and videos at its disposal which can be used to supplement lessons if and when required. I will be moving to Italy to teach next, but I am seriously considering returning to REWARD in the near future. I’ve made some great friends here and will definitely be staying in touch with the company and people I’ve met. Russia is a fascinating country with a rich culture and history and REWARD is an ambitious company which I’m sure will only grow and develop as time goes on. Coming to Russia to teach has been a tremendous adventure, and a wonderful personal opportunity for me to get back in touch with my heritage. With Reward FLC I feel like I can truly enjoy my time in this amazing country, while engaging in undoubtedly the most rewarding profession: teaching. It's a great feeling, coming to class each day, knowing that both you and your students will walk away a little happier, a tad more entertained and quite a bit wiser! As I leave Volgograd and look back at this lovely city, I can only think of all the wonderful people who have been there with me throughout this tremendous experience. As such, I'd like to extend my deepest gratitude to all of my dear friends and colleagues at Reward for supporting and helping me throughout my journey! After a fulfilling year and a half working at this school, I now walk away knowing that I have grown immensely, both as a teacher and as a person. I will always remember the wonderful team we had, the fun classes, the brilliant students and the amazing memories we all made together. When I arrived in Russia in mid-February 2012, I did so with lots of trepidation: what was going to happen at this school I had only vaguely come to understand via the few snippets I found on their website? Was Russia as unforgiving a climate as I had heard about from various friends? Would the different atmosphere of a monolingual class be a barrier? Needless to say, I had a lot of worries – many of which hung around with me even in my first few weeks at «Reward». However, after nearly a full year of teaching English and learning Russian at this company, I can honestly say that it has been an experience I don’t regret. The people who work here are very welcoming- kind- hearted and very good at their jobs. Patience and persistence is often necessary, because it is a young company and things sometimes seem counter-intuitive – but you will deeply and earnestly admire just how hard they are pushing themselves to improve their teaching and educational experience. The work can sometimes seem quite a challenge as well – you share your classes with foreign teacher most of the time, and the school really pushes its adult students with their course plans, trying to give them every opportunity to learn. The children’s courses are a bit different, and the guide works at a slower pace – but that gives you ample opportunity to bolster their knowledge with whatever you think is right for the lesson. 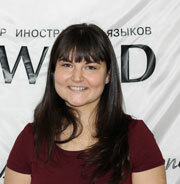 Whatever the setting, though, the students here are all brilliant – and they really appreciate the fact that you are teaching them, because there aren’t many foreigners in Volgograd outside «Reward». Then, as for the city - it’s a beautiful mix of quirky Russian restaurants and small-town entertainment, punctuated all over by the deep shadow of Stalingrad. It is not a city with a huge nightlife and a million-and-one things to do – but there is definitely a lot to see and do here, and it is a very interesting place. Overall, then, after 10 months in Volgograd with Reward, I can honestly say that Reward is a good and hard-working company with a lot going for it. If you have any ambitions for helping to build a company that will go from strength to strength, I advise you to consider working here. You will have a great time, learn a new language, and meet lots of kind and brilliant people. "I chose to come to Russia because I've always had an interest in Russian history as well as the culture of Russia. I believe that the only way to truly appreciate the culture of a country is by living in that country. I chose Reward because it offered an opportunity for me to live and work in a country that I've always wanted to learn more about. 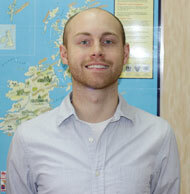 I've always had a passion for teaching and for me Reward has been a great place to start!" As a new college graduate, it was pretty overwhelming for me to come to a foreign country and start working. Fortunately, I had the help of the staff at Reward. They helped me get settled in very quickly and were always willing to help me when I needed it. Reward taught me how to be a good teacher; they taught me which methods worked and which didn't, and I was able to use those skilles combined with my own to develop as a teacher. I spent a year in Volgograd, but the time went by so quickly it felt like a few months. My time in Russia helped me grow as a person; I learned a lot about myself and about the Russian people, their culture, and their wonderful (and challenging!) language. I already want to return! "I’ve been interested in Russian history for a long time and that’s why I am very happy to be here in Volgograd. I decided to apply for a job in “Reward" because the school seemed to be a great place for teaching and the staff very friendly. (And fortunately I was right twice!) I have always been keen on teaching and I am looking forward to meeting my new students here in Russia!" It has been nearly seven months since I arrived in Volgograd and started teaching English at FLC Reward, but it feels like a lot less time has passed. 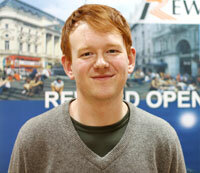 My experience of living here has been overwhelmingly positive, and I have particularly enjoyed working for Reward. The experience which I have gained from Reward, both through teaching my usual classes and from the seminars that the company put on for new teachers, has been immensely useful. 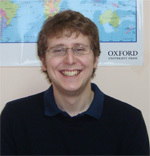 This was my first full-time teaching job, and I feel that over my time here I have learnt just as much as I have taught. My confidence in front of classes, my knowledge of teaching methodology, and my general teaching ability have all improved a great deal over my time at Reward. I feel that the seminars at the beginning of my stay here were particularly important, as not only did they highlight Reward’s preferred teaching style, but they also allowed me to meet other teachers. The staff at Reward have been very welcoming, and both managers and teachers were always ready to help when I had difficulties. Although my first few weeks here were quite challenging, as I had to find my feet in a new culture whilst simultaneously adapting to working as an English teacher, matters rapidly became easier as I settled in to life in Volgograd. The openness of the people I worked with certainly helped this transition. My students also helped matters, as although they were varied widely, both in terms of age and of their level of English, they were universally friendly and eager to learn English. Whilst here I particularly enjoyed the ‘extra-curricular’ language camps I participated in. The two Scotland weekends were great fun (and meant that I got to wear a kilt for the first time in my life), and I hope were beneficial to the students who attended. The ‘Discovering Canada’ summer camp, meanwhile, was a lot of work, but also very enjoyable. The children who attended were fantastic, very motivated and surprisingly well-behaved, and my only complaint about it would concern the weather. I just don’t think that the English are cut out for 40+ degree heat! Outside of the classroom, I have really enjoyed living in Volgograd. This was my first real experience of ‘provincial’ Russia (outside of Moscow and St Petersburg), and I have been really impressed by how friendly and polite everyone I have met has been. I have made some really good friends over my time here, particularly amongst the students and staff of Reward, and I will miss everyone when I leave. I look forward to visiting Volgograd again in the future, as I cannot imagine never returning to the city. Overall, I would certainly recommend Reward to anyone with an interest in teaching English, especially if they are also interested in Russian history and culture. I have thoroughly enjoyed my time working here, and wish everyone at the company all the best for the future. 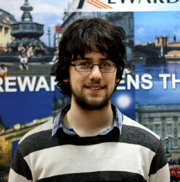 "I am very happy to be working at Reward. I think it is a great chance to not only meet new people, but also to learn about a new culture. I believe Reward is a shared learning environment because my students teach me just as much as I teach them. The best thing about teaching is finding something that connects us and learning from each other. That's why Reward is an awesome place! It allows education to go far beyond the classroom. 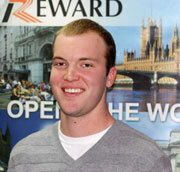 The decision to join the Reward staff has been one of the best decisions of my life and I am very happy to be here!" 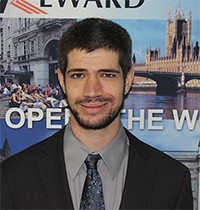 Working at Reward has been an incredible experience. I started my journey wanting to share my passion for the English language while also learning about a new culture. However, I’ll be ending it with so much more: unforgettable memories and friendships. One of the best things about Reward is the staff. They are all very talented and enthusiastic, and it was always a pleasure working with them. Everyone you meet is incredibly supportive and friendly, and is willing to lend a hand whenever you need it. It was an honor and privilege to work with the amazing people at Reward. As for the teaching aspect, Reward supplies its teachers with ample amounts of resources. Each classroom is also equipped with the necessary equipment to make the learning experience comfortable and successful. However, the greatest thing was my students. Although they varied in age, proficiency, and dynamics, they all had something special—and they were all incredibly enthusiastic about learning English. I was lucky enough to teach the Speech Practice class which is part of the two year intensive Interpreter course. This was a very enjoyable class to teach for me because much of it is based solely on discussion, so I got to know my students very well. During the course we discussed and debated various topics that allowed me to learn more about Russia, as well a great deal about cultural differences. This was a course in which it was just as much a learning experience for me, as it was for my students and that’s something I’ll never forget. Another great thing is the summer and weekend linguistic camps. So much hard work goes into these camps and it shows, as they are always great fun. I have attended several of these camps and I have enjoyed every single one. The teachers and students who attend are fantastic and so full of excitement. It really makes for a great time full of English speaking activities that is beneficial and fun for any language learner. 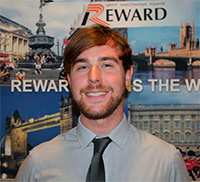 I would definitely recommend working at Reward to anyone because for me it has been an unforgettable adventure. Words cannot even express how much I will miss this city and the people when I leave. I wish everyone at Reward all the best, but I know in my heart this is not the last time we will see each other. "I always wanted to become a teacher. When I started teaching my first students I had already known that I wanted to teach others the love and joy of knowledge all my life. I have decided to teach in Russia because its history and culture are unique. And Volgograd attracts me especially because of its historic significance. My work at the “Reward” Center gives me a chance to learn more about culture and social life in Russia, and also meet great teachers and students. This is a place for education and development. And I hope I will succeed in both." I've worked at Reward Centre for almost one year and I cannot believe that my time here is nearly over. This has been the most memorable year of my life. The decision to work and teach in Russia was an easy decision. I had seen many schools and talked to several directors. But when I found Reward I knew I had found a home. Reward has helped me become a better teacher and for that I will always be grateful. Reward uses excellent materials to make the teacher's job that much easier, with TVs, dvd players, white boards and markers in every classroom. As well as up-to-date books and countless other resources from hand-outs to flash cards and games. Reward has given me the best possible experience. I have had the opportunity to work with an incredible staff of teachers and managers alike. Who are always more than willing to assist you and I can say, have become wonderful friends. As well as a wonderful groups of students that I will never forget. The students are friendly and eager to learn English and I am more than willing to assist them in their journey of learning a new language. One event that made the biggest impact during my stay in Volgograd was the Discovering Canada Summer Camp. Playing games, singing songs, making crafts and constantly practicing and improving their English and learning new information about Canada and as a Canadian teacher in Reward Centre I was only too happy to talk about my home. The Russian teachers whom we worked with were constantly full of energy, always making the activities enjoyable and because of this the children thrived. Having fun and learning. The children even helped me to improve my Russian. And together we had an incredible summer. I can only hope that I have made half the impact on their lives as they have made on mine. I will never forget this summer. As this year draws to a close it is hard to believe that I have spent it in Russia, making new friends, learning new customs, a new language and above all sharing a love of English with my students here. It’s impossible to think this will be my last time in Volgograd and in Russia. I will forever be grateful to Reward Foreign Language Centre for making me the teacher that I am. "I gave my first lesson when I was 15. Languages have always attracted me, their history and communication techniques. I am here in Russia because I want to learn a new language and the Russian language is a real challenge! I’ve chosen to work in "Reward" because of the innovative educational methods that help students and teachers not to be afraid of future challenges"
I have been a teacher here since February 2011, my contract was due to end next month, but I have enjoyed my time here so much that I have decided to extend my contract until June or sometime in the summer 2012. I studied theatre and creative writing during my studies. I also covered anthropology and ancient histories. (Part of my training for working with classical texts). Before I started my theatre training I was a teacher and have always enjoyed it. I have trained and taught many subjects in my life mostly creative techniques (photography, dance, stage fight, etc...) I have also spent a lot of time training people (in the UK) business communication skills and sales techniques in workshop environments and in office as a member of staff. I have decided to make teaching language my career and intend to pursue it avidly. My plans for the future include acquiring my DELTA and then maybe look to becoming a teacher trainer in the future. I have always enjoyed teaching and training others to new skill sets, to see another develop as a result of your influence is a very rewarding way to live your life or at least I believe this to be the case. I am a little sad that it means leaving this company as there are no training establishment close enough to this city (Russia is quite big) and the only Moscow offers training in CELTA (but not DELTA or any other training that I can find). So in the summer I will have to move to a country and location more suited to my long term goals. If it was possible I think I would stay here and maybe in the future when I have finished my training and qualified as a teacher trainer I will come back, if the school here would be interested in offering CELTA and other teacher training at that time. Don’t misunderstand, Reward offers training for their teachers in the techniques for running and managing their classes, but as I said there are no places in this region that offer advanced training for teachers. If you are a new teacher and looking for experience to start you on your career path then this is the place to be. I have had a wide range of experience here from elementary classes to advanced classes from young children (not my favourite but the experience is good for my future plans) to adults into their 50’s maybe older but one does not like to ask. If you just want to see some of the other Russia for a year or so between university and careers then Volgograd is most defiantly Russian. It has a very long history that far predates Stalingrad. In truth if you are looking for entertainments that the city has to offer then you need ask one of the teachers who were here looking for such, as this was not my purpose in coming here. I would recommend this company to anyone, the staff are very supportive and the people here are very friendly and hospitable. As I said before I will be a little sad to leave but I think that I may well return to Russia in the future. Wishing you all the best in your own choices and futures. "Teaching has always been my passion, it's something I simply love. "Reward" is giving me the possibility to do it in this magic country: Russia. Together we'll discover the beauties of the Italian language and culture, it is great to share with you the treasures of my origins!" I have been working in Reward just for three months and everything is cool! I think that Reward’s methodology is really effective. Students study foreign languages successfully working with audio and video resources. All projects of our centre help teachers’ professional development. It is a smile of fortune to work in this centre of high professionalism. I like all my students, we study and rejoice together! I like working in Reward! 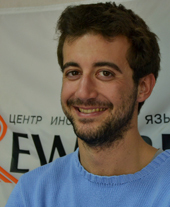 "Teaching Spanish has been and remains my favorite action since I have come to Russia. Reward is the progressive centre of high-quality teaching foreign languages, where every student’s success and every teacher’s creative self-realization are important. 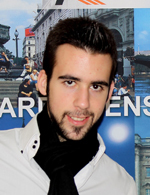 For me working in Reward is the great pleasure and the unique possibility to share my knowledge and love to Spanish language and culture." 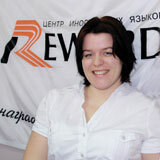 “Reward” is a centre that has opened the door to the linguistic world to many people, and one of them was me. Someone has come as a student, I came as a Spanish teacher and since that moment and during a year that I have been working here I have been doing just what I enjoy. In “Reward” I always work with pleasure because here I can find everything necessary for the best-quality lessons (TV, DVD players, audio and video materials, and of course a very professional team). These conditions help me to create an atmosphere of good mood; and help students to have the best rewards. "If you talk to a person a language he understands, your words will reach his head. If you talk to a person his native language, your words will reach his heart”. These words of Nelson Mandela made up my lifestyle and thanks to “Reward" I can share this opportunity to make words reach people’s hearts with the help of the language of passion and joy – Spanish. At the "Reward” school, you can learn more about the extraordinary culture of Spain and other Spanish-speaking countries"
After working almost a year at FLC Reward it is quite easy to share what I think and feel about the school which gave me a unique opportunity not only to grow at work, but also as a person. For me the fact of having the possibility to share with my students my passion for languages and motivate them in a friendly, comfortable and professional atmosphere is just wonderful, taking into account the experience I’m gaining thanks to the support of my colleagues, methodologists and the rest of professionals who build the staff. Reward is a very ambitious company with tons of projects in progress and big plans for the future and present. Whatever they do, they do it just great, and it is possible to see that at any level. I’d like to add that it feels so gratifying being part of this talented, motivated and creative team, who are so involved in their work and always try to improve and get better. Because I have had an unregrettable experience, I think working at Reward is an opportunity that any language enthusiast should not pass up. I believe communication is one of the world's most important goals. In my year at Reward, I have been continually impressed by the drive and dedication of my students to master English. From children to adults, they all have something to show me. Every day brings a new perspective that mixes the familiar with the new. I am grateful to Reward for giving me the chance to experience a different culture while I help my students reach their ambitions. Living in the small town of Volzhsky has given me the opportunity to become a part of the community and get to know Russia as a country and a culture from the inside. Reward encourages my creativity and gives me the chance to get to know students as dynamic individuals while I help them achieve their goals.